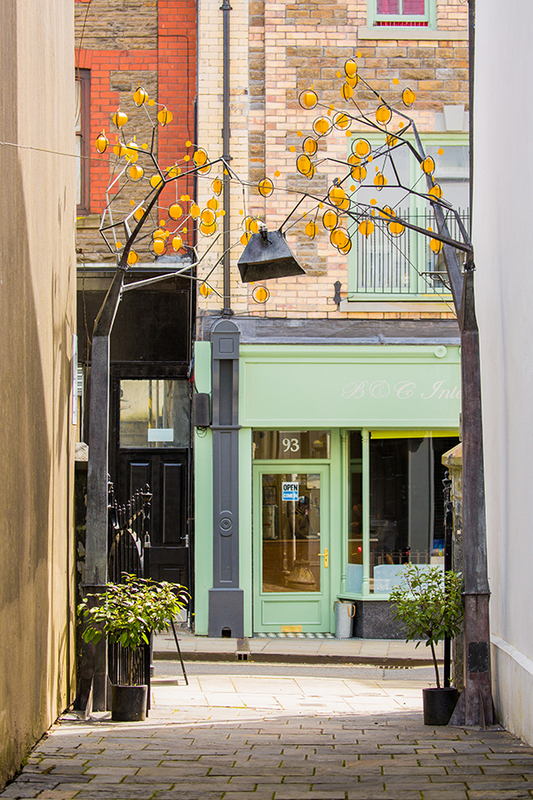 Description: Martin Smith Studio was commissioned to create a dynamic sculptural intervention across the passageway's entrance that would announce the Canolfan Soar Theatre's presence onto the High Street, whilst also reflecting that this area of Pontmorlais is a conservation area. 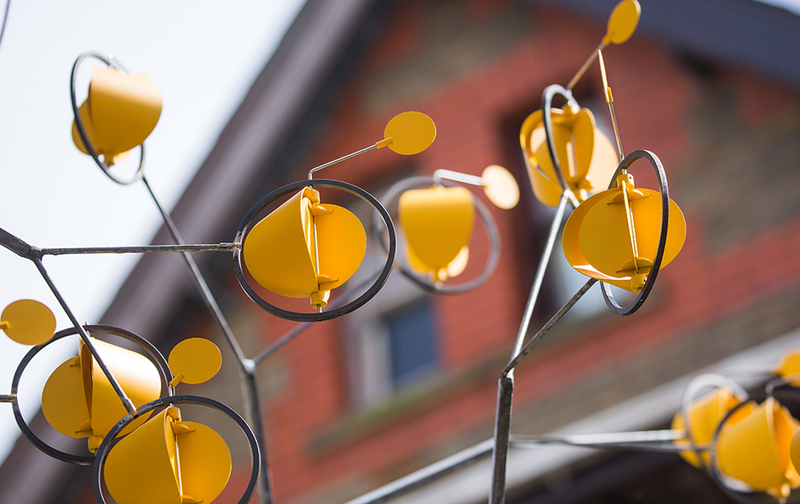 We created an arch of two mechanical trees that are a narrative about growth in this historic Welsh industrial town. 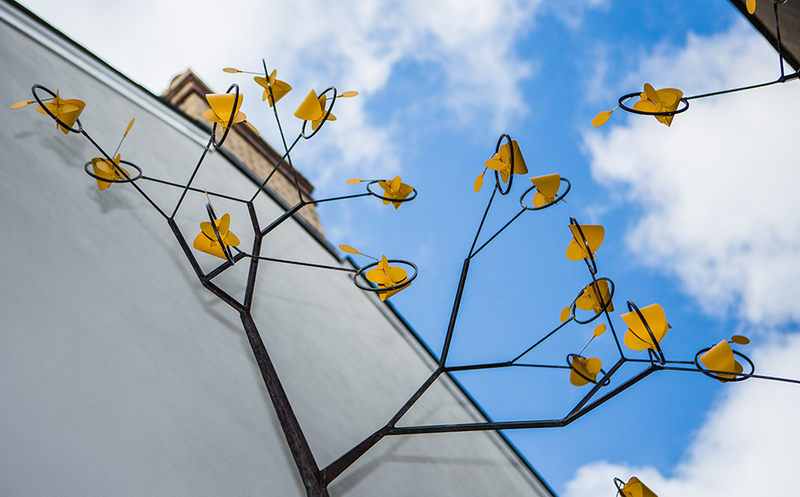 The sculpture is comprised of gentle rhythmical movements that draw attention, at the very tip of each metal branch there are delicate kinetic elements that respond to the wind and catch the sunlight. The sculpture is permanently sited at the main entrance and cantilevers out over the pavement to draw people into Pontmorlais and The Canolfan Soar Theatre. Site: Entrance to the Canolfan Soar, Merthyr Tydfil, Wales. Clients: Celfwaith arts consultancy, Merthyr Tydfil Borough Council and The Arts Council of Wales. Copyright © Martin Smith 2017, all rights reserved.